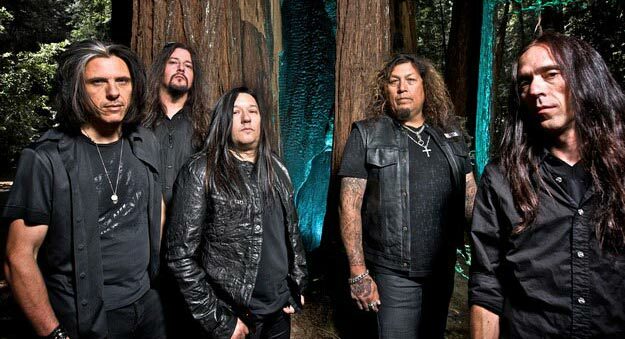 ﻿ Rock Overdose - News - Chuck Billy (TESTAMENT) on Rock Overdose:"New album to be released in 2014"
TESTAMENT, is one of the most influential bands that came from the Bay Area “gang” of bands. Throughout the years, they have played even death metal (“Demonic”), and they have been an all star band in some albums also. Their latest album “Dark Roots Of Earth” is maybe one of the strongest albums, if not the strongest one, they have ever released. 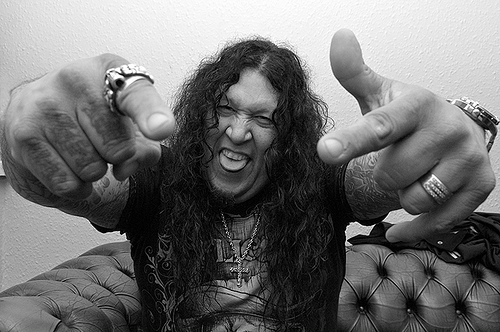 Chuck Billy, talked with Zisis Petkanas about this album, their upcoming live DVD/CD, called “Dark Roots Of Thrash” and the future plans for an album next year. Below, you can read the whole interview that Chuck gave for Greece’s RockOverdose.gr. RockOverdose.gr: Chuck, first of all, I would like to welcome you to Rock Overdose. It’s a great honor to have you here with us tonight. How are you lately? Chuck: We’re doing great. We’re ready to do a couple of shows here in California and we’re getting prepared for a tour next month, in October. RockOverdose.gr: We really hope to see you in Greece. Chuck: I am sure you’ll see us hopefully early next year sometime. 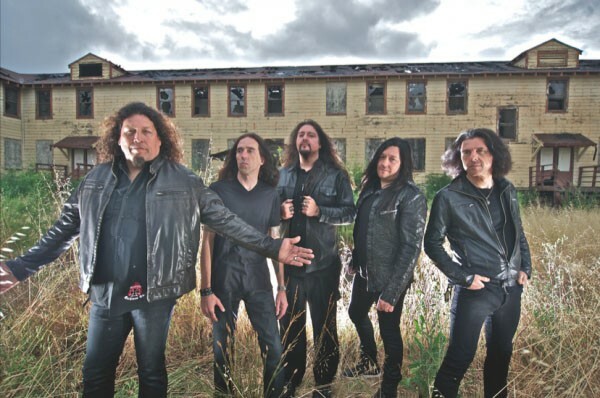 RockOverdose.gr: So after TESTAMENT’s come back in 2008, you are firing us with a series of thrash anthems. Most of the bands are just choosing to rest. What gave you the energy to carry on after all these years and inspire the world with your music? Chuck: Since the last couple of records, we’re touring more and we’re trying to come up with more music, more than we did in the past, so the band is very busy with a lot of touring, which is really good. RockOverdose.gr: “Dark Roots Of Earth”, your most recent studio album, is already considered one of your classics. How did the fans embrace it? Chuck: I think that all the people I talked to, new and old fans, they all got the feeling of what we’re trying to do. I think that in this record, we are more heart and soul in it than any other record. The song writing, the sound production, everything is into place. The feeling of the record, the timing, the album art, everything just worked really well and I think the fans everywhere, grabbed the whole of it and understood what it felt… what we felt. Touring was also good, we met a lot of young fans at the shows, that they weren’t introduced to TESTAMENT before, which is really great for us. RockOverdose.gr: Of course it’s great and we have to say, that the album entered the Billboard 200 at number 12. I think it’s your highest US chart position so far. RockOverdose.gr: You have to be really proud of it. Chuck: Very proud, very excited and a little more overwhelming when the position came out. It was a surprise, we were on the road and we were actually very happy and surprised. We worked very hard on our music and we take our music seriously. It was really exciting. RockOverdose.gr: I think it’s very important to enter the US charts and see the music you create going to more fans. RockOverdose.gr: “Dark Roots Of Earth”, included also some slower compositions. That was a big decision for the band I think. Are you considering writing similar songs in the future as well? Chuck: We don’t know. When the time comes for creating, that’s when we really start writing. In the new album, lot of the feeling in it, it was the first record that we didn’t really think of what the fans might say, because some of them will say “oh they are slowing down, they are getting older” and in this record we didn’t really think of that. We were writing the songs for us. We were like “this sound good, it feels right and we’re into this”. We didn’t think of what the fans and press are gonna say. We just did it and so far the response has been positive. We didn’t have any negative response of writing those type of songs. RockOverdose.gr: “Native Blood”, can be considered a really personal song for you, with yourself belonging to Pomo native Americans. This song was recognized as the best music video at the American Indian film festival. How did that make you feel? Chuck: It was great. Anytime you are recognized for your music and your art, it’s wonderful, but on top of that, being recognized in the native American community, was even a greater accomplishment. I think the video was really powerful with message it showed, so when the film festival seen it and was nominated, it made me think that we had the right message and the right video and the song. Anybody that has seen the video, really felt the power of the message and the song. Being a native, growing up and in the video is for native Americans, but the song is really created for people in the entire world. Every culture has groups of people that feel maybe not helped by the government, so to me, there’s a strong and powerful message, to have the voice and your opinion heard and finding the inner strength to do that. It’s a very powerful song. RockOverdose.gr: In other news, you are about to release a live DVD and a double album, called “Dark Roots Of Thrash”. Can you tell us a few things about this upcoming release? Chuck: Yeah, it’s a double record with 19 songs in it, so it has a lot of the classic TESTAMENT songs and lot of the more current records. When we reformed the band with Alex and Louie in 2005, we were playing mostly the old classics and not stuff off of “The Gathering” or “Demonic” or more of the newer records, because the members didn’t write on those records and they wanted to play more of the classic stuff and now that they’ve been in the band for several years, I think over the last couple of years of touring, we started adding more stuff off of “The Gathering” and then we wrote “Formation Of Damnation” and then “Dark Roots Of Earth”… we kind of evolved, so now we’re playing more of the new stuff in the tour, so I thought for the live record, e should play everything. Capture the whole TESTAMENT’s career from the beginning, so I told to the guys. The production of the CD sounds great. 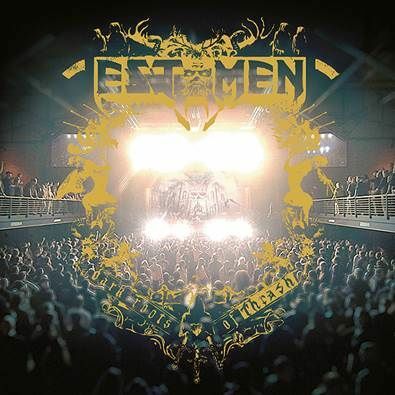 I always thought that TESTAMENT is a stronger live band than on the records. The power and the energy is more of a live feeling, so I think we really captured it and the video came out really great for the DVD. It’s a great representation of the band that we are today. RockOverdose.gr: I think it’s a good way for the new fans to learn about the band. Chuck: Yeah it’s a visual. As I said earlier, we worked a lot harder and toured a lot more, so it’s great to have something of a live show for people to watch and listen. It has a lot of energy. The live CD’s have a lot of energy. I don’t know if you listened to them, but once you hear it, you’re going to agree that it has a lot of energy. RockOverdose.gr: Are there any movements for the next album? Any ideas? Chuck: Yes we are going to start writing and recording early next year. It think that January to April, we’re gonna start writing and recording, so the new album will be out next year. RockOverdose.gr: I suppose you already have some ideas about the sound of the next TESTAMENT album. Chuck: I think that we’re on the right direction with the “Dark Roots Of Earth”. I think that the old saying “if it’s not broken, don’t fix it” fits, so we’re probably going to stick with the same formula and idea. I think that there isn’t any TESTAMENT album that sounds the same, so who knows what kind of songs we’ll write next year… I don’t know. RockOverdose.gr: I am sure that it’s going to be a great record again. How did the cooperation with Gene Hoglan on the drums come alive a couple of years ago and how is it to work with him in the studio and on stage? Chuck: It’s great. Gene is a great person and a great musician, so when it comes in writing and recording, he’s very prepared and very professional and easy to work with, because there’s nothing he can’t do. Any idea we’ve thrown at him, he did his best shot. He’s great. I think that right now everyone is very happy with the band members and Gene playing drums and I think Gene is very happy playing in TESTAMENT too, so I can see him in the next record as well. RockOverdose.gr: In the past, you have faced a very serious health issue. How did this change your perspectives towards life? What would your advice be, to people facing similar problems? Chuck: I guess that first of all, you gotta think positive. The first think is that you have to live the moment, don’t think of the past, enjoy the moment, look for tomorrow. Of course it changes you and I had a different opinion ten years ago, when I first beat it. Over the last ten years, I think I kind of look forward and I think I’ve been really blessed and fortunate and I had an opportunity and a second chance to keep playing music and having guys in the group that enjoyed performing, writing… it’s kind of a blessing, so I look for tomorrow and never look back. RockOverdose.gr: This year, you will support the upcoming LAMB OF GOD and KILLSWITCH ENGAGE co-headlining tour through North America. How do you feel about that? Are you a fan of their music? Chuck: Yes I am and I think it’s going to be a great tour. LAMB OF GOD and KILLSWITCH ENGAGE, they have a younger fan base, in the new style of metal, so I think it’s great for a band like TESTAMENT, because there will be younger fans buying our music and coming to the shows, so it will be great to even get out there and play in front of more younger fans that may not have heard of us. They will get the chance to meet us and see what we are about on that tour, so we’re looking forward to it. RockOverdose.gr: I suppose your fans are very curious about this. So how do you see the metal scene nowadays? Chuck: I think it’s probably stronger than it has been for a long time since the 80’s. There’s a whole new generation of fans that listen to it and I think the fans are getting younger and younger. There are more fans coming with their parents, like 11 or 12 years old. They are getting younger and I think it helps that all the kids are playing video games like Rock Band and Guitar Hero. Those kids have the opportunity to listen to harder music and this helps music to be heard in even smaller ages. I think heavy metal has always been kind of rebellious for younger generations, so I think it’s definitely healthier now than it has ever been. RockOverdose.gr: Are there any other news to reveal through this interview? Chuck: I think you have everything. We’ll have a new record next year and hopefully we’re gonna get to Greece by next summer. We’ll have the new album out and I’ll be talking to you again. To the fans of Greece. You should play “Dark Roots Of Thrash” through your radio station. I think the fans will enjoy it very much and it’s a real representation of TESTAMENT. RockOverdose.gr: Would you like to leave your message to your fans, especially to your fans here in Greece? Chuck: Over the last years, we’ve been taking some time writing records and hopefully by next year you’ll have new music by us and touring more and take the chance to come and see us when we come to your local city. RockOverdose.gr: I wish you the best and looking forward to hear from you when you come to our country. Chuck: Alright. Thanks for the interview. RockOverdose.gr: Thank you very much for your time. Bye. SINGAPORE SLING on Rockoverdose: "Everythings psych these days. I have no idea why." KINGS CALL on Rockoverdose: "Lions Den is more straight forward, more rock n roll in a puristic way"
KINGS CALL στο Rockoverdose: "Το Lions Den είναι πιο ευθύ, πιο rock n roll, πιο λιτό"
SINGAPORE SLING στο Rockoverdose: "Τα πάντα θεωρούνται ψυχεδελικά στις μέρες μας και δεν έχω ιδέα για ποιο λόγο"
Joakim Broden (SABATON) on Rock Overdose: I have a very visible memory of Greece on my thoughts! FACEBREAKER on Rock Overdose: "The new album is still flesh ripping death metal Facebreaker style"
HATESPHERE στο Rock Overdose: "Oι hatesphere έχουν πολλές δυνατότητες ώστε να προσφέρουν καλή μουσική "
ENTRAILS στο Rock Overdose: "Αν ο κόσμος θέλει να ακούει μουσική παράνομα θα το κάνει όπως και να χει"
ZEROZONIC στο Rock Overdose: "Είναι μία ζούγκλα εκεί έξω και συνέχεια ξεπετάγονται καινούρια συγκροτήματα"
ENTRAILS on Rock Overdose: "Does people want to listen illegal they steal it anyway"